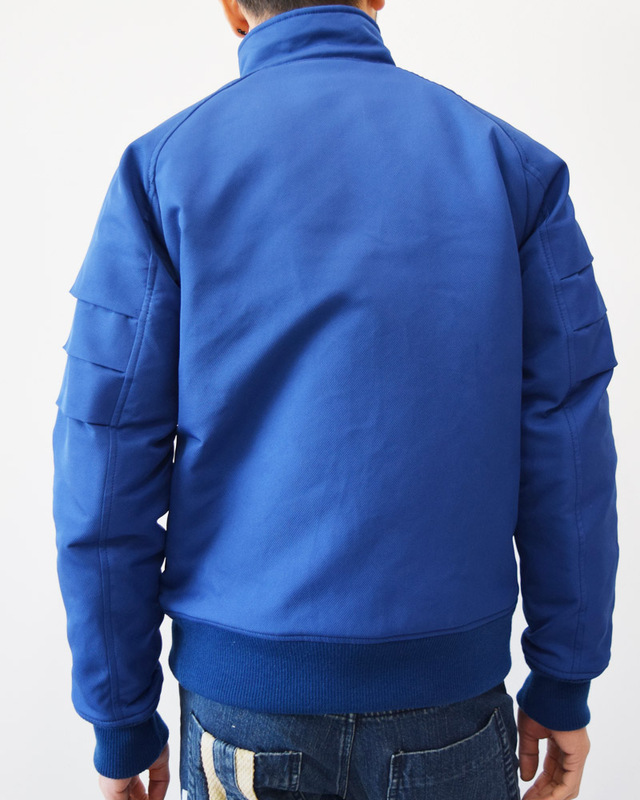 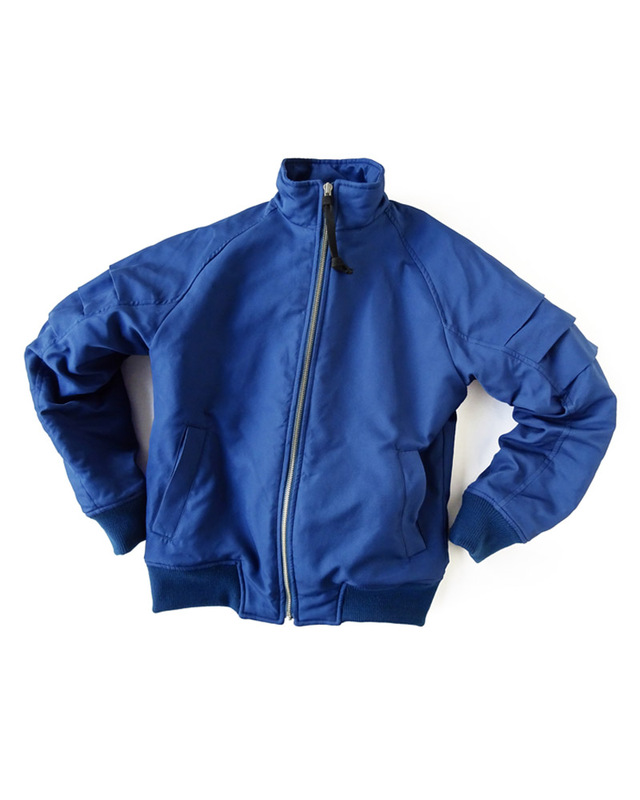 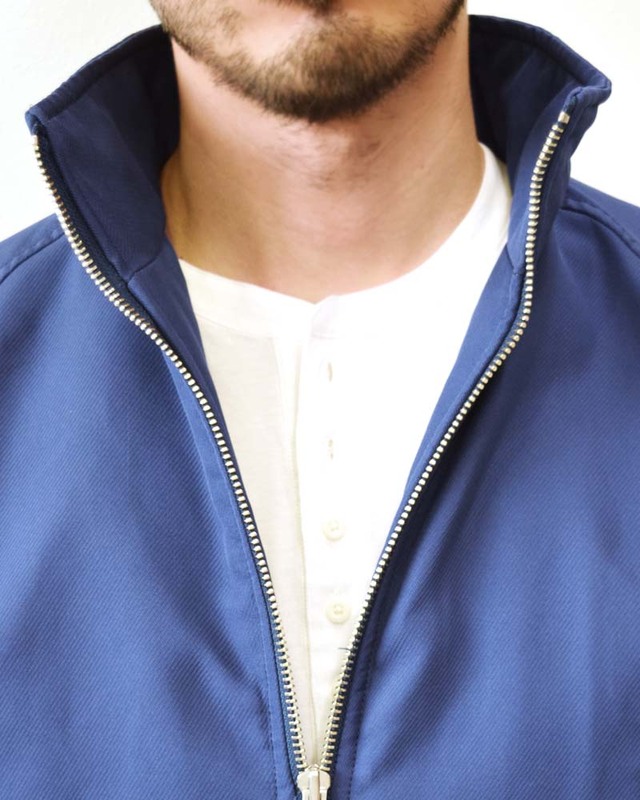 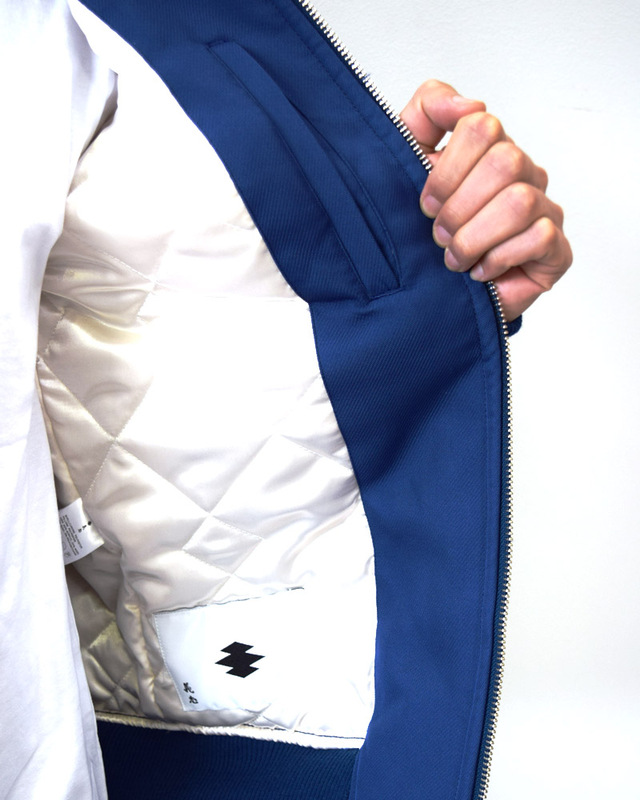 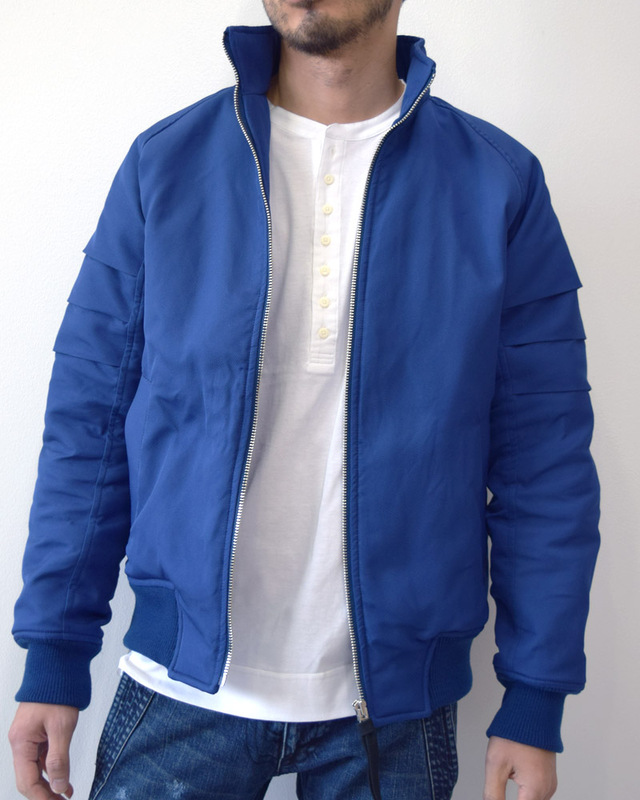 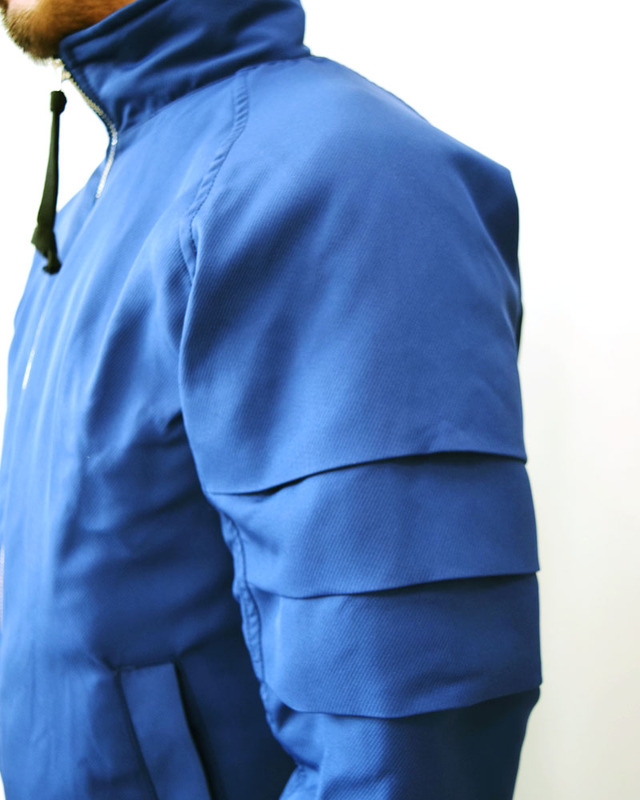 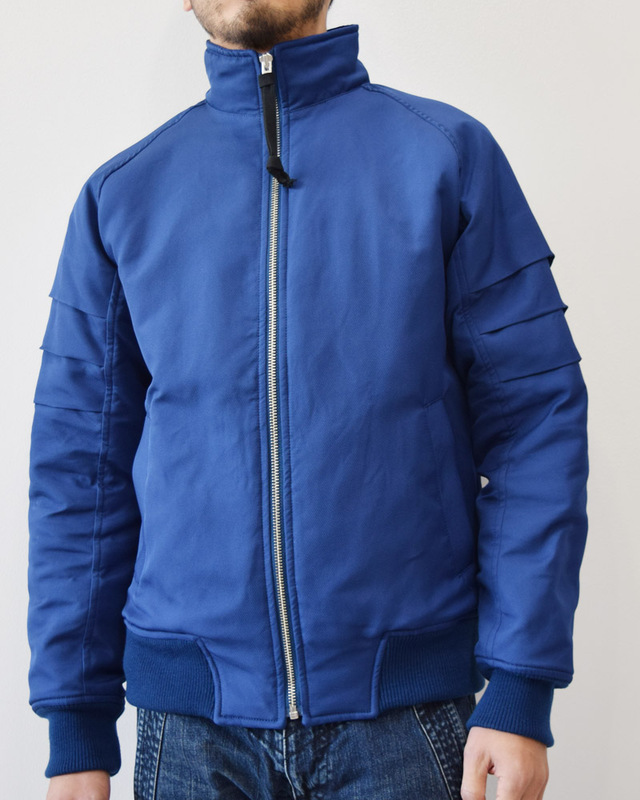 Zip-front blouson made of soft and bulky double-cloth polyester with lightweight and heat-retaining quilted lining. 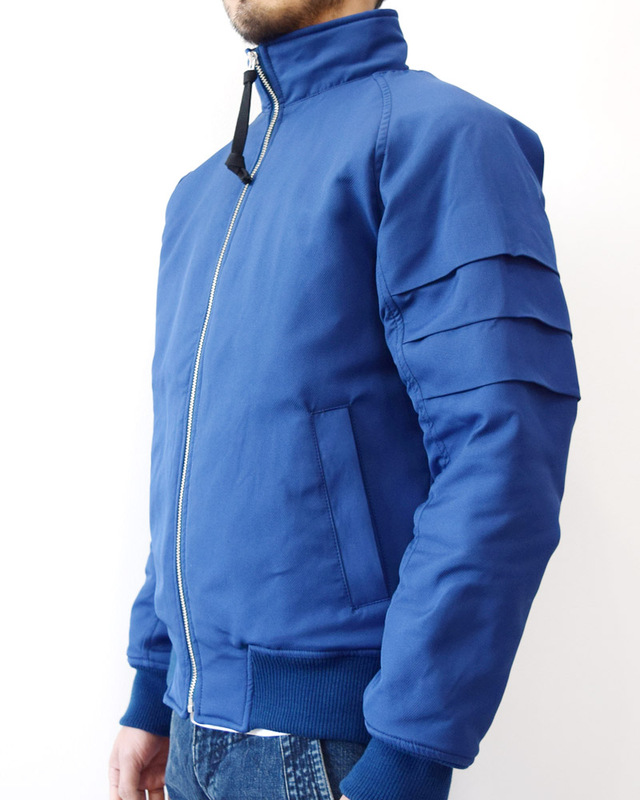 Fabric drapes and wrinkles made by movement of joints will give a 3-D appearance on the surface due to the fabric woven with hi-count 150D polyester featured in low repulsion material along with the sleeve-design inspired by samurai armor. 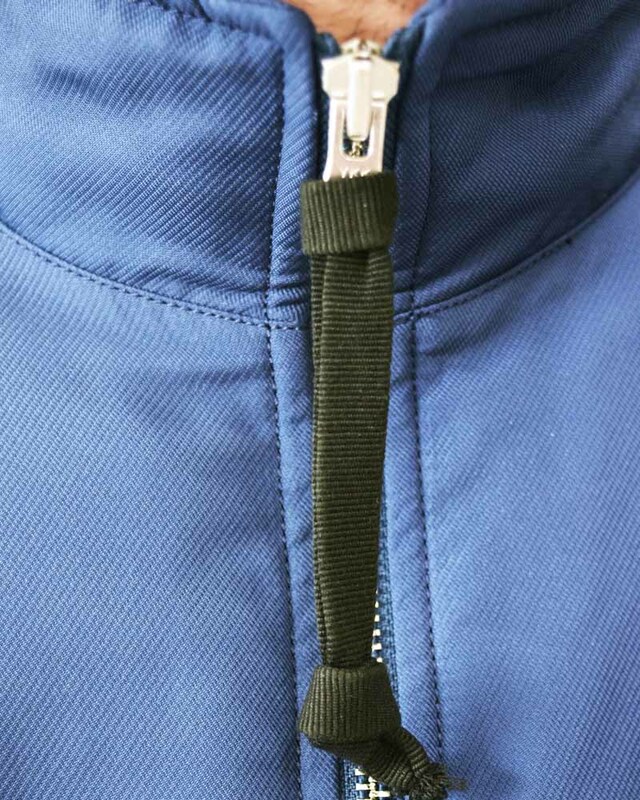 Japanese traditional “Sanadahimo” strap crafted by the renowned craftsman Tosai Ichimura is adopted on the front zip-slider.